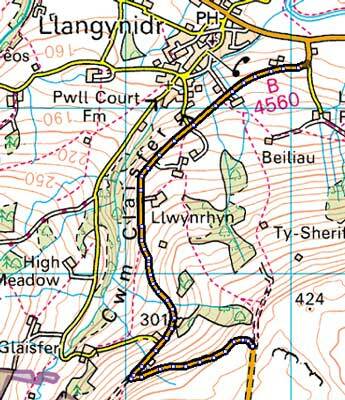 The Llangynidr hill climb featured as Round 4 of the Magic Dragon Series of time trials. The strategy was simple: stomp on the pedals as hard as possible and try not to blow up before reaching the top. With an average gradient of 8%, it climbs 280m in 3.5km. It doesn’t sound steep on paper, but believe me you know when you’ve done it. The top came after 13 minutes and 28 seconds, putting me 8th in the seniors. I was pretty pleased with my power output too – 4.74 watts/kg. The race was won by the last man up the hill – local lad, and our postie Ryan Bevis, who smashed the course record by 43 seconds with an impressive time of 11 minutes 5 seconds. After a winter tucked away in the dry the Nicolai has been stripped down, restickered and rebuilt. 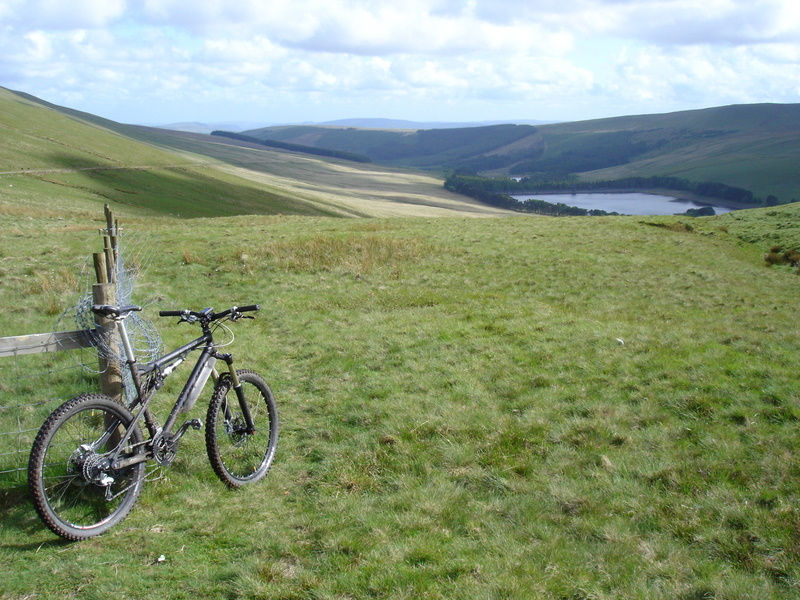 After waiting for the lunchtime showers to clear, I headed out on its Inaugural Ride with a trip over The Gap. Starting in Talybont on Usk at 125m, and topping out at some 599m the route involved a climb at the other end of the scale to one I did earlier in the day. 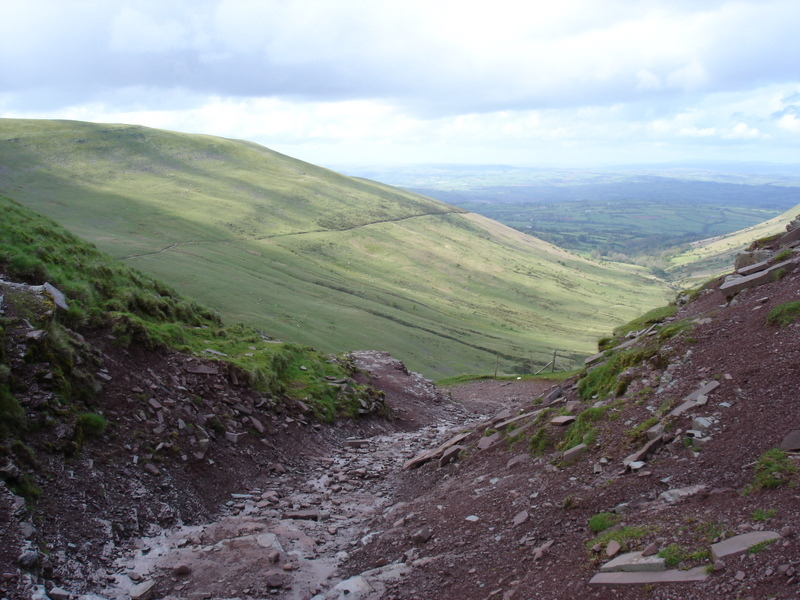 There are many variations of the Gap route, but whichever way you do it the best (and most technical) descent is off the north side back towards the Brecon. Late in the afternoon all the walkers had gone home, so I had the hills virtually to myself. The bike? Well, of course Im going to say its wonderful. No, really, it is 🙂 I’d made a tentative transition away from Pace forks (I’ve owned 6 pairs in all, since 1994). 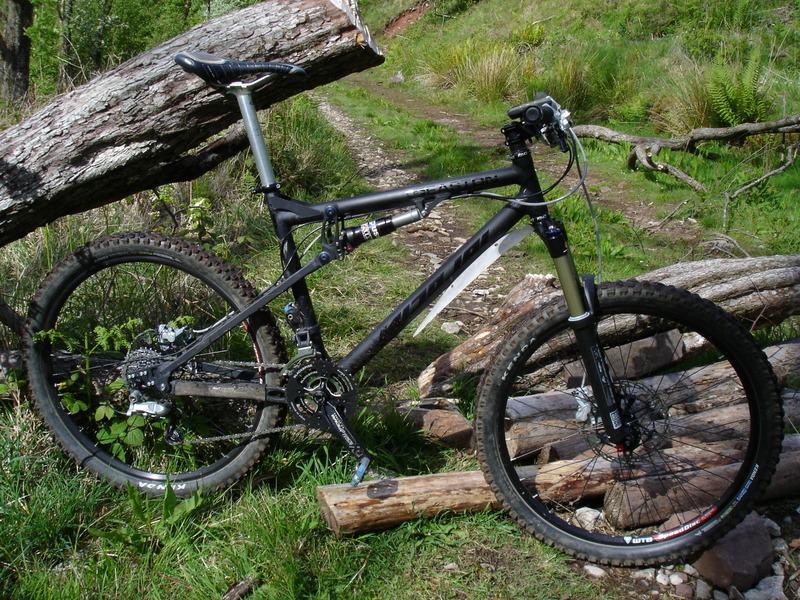 The Rock Shox Revelations that now grace the front of the bike were amazingly supple – they soaked up all the rocks I pointed them at both large and small in a smooth controlled action that I never found with my Pace’s. The brakes aren’t bedded in just yet, but I’m getting to like the new Hope Mono M4’s already – the larger rotors are quite confidence inspiring. The route I did can be downloaded from the Box.net widget on the right. I’ll gradually add more files as time goes by.